Call to arrange an initial consultation. 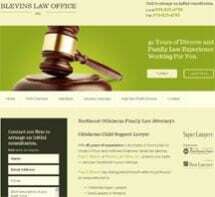 40 Years of Divorce and Family Law Experience Working For You. Mr. Blevins has over 40 years of experience handling all family law matter including divorce, child custody, visitation, child support, alimony, adoptions and guardianships. He has received many distinguished awards such as: Oklahoma Super Lawyers, Best Lawyers in America, and the LexisNexis/Martindale-Hubbell AV Preeminent Lawyer. He is a Certified Family Law Mediator and a Certified Fellow of the American Academy of Matrimonial Lawyers. Contact our firm to arrange an initial consultation. Blevins Law Office, Inc., serves clients in northeast Oklahoma cities such as Pryor, Claremore, Vinita, Miami, Tahlequah, Wagoner, Grove, and towns and communities throughout Mayes County, Ottawa County, Rogers County, Delaware County, Craig County, Cherokee County and Wagoner County.